Experience the A-Pro Home Inspection Southwest Ohio Difference. You’re Backed by Our Industry-Leading Good Faith Pledge. With A-Pro Home Inspection Southwest Ohio, you receive more than a comprehensive, 500-point visual and operational home examination. You get the peace of mind that comes with our FREE 120-day “If we don’t report it, we repair it” guarantee. That means in the rare instance a problem may have been missed, the burden is on us to pay for the repairs. We’re proud to offer this unrivaled level of protection to you and your neighbors — our home inspection customers throughout Brown, Clermont, and Warren counties, including Loveland, Anderson Township, Mason, Milford, Batavia, and surrounding communities. At A-Pro, we go above and beyond. So while some inspectors are satisfied by meeting basic standards, we strive to give you more. In southwest Ohio, you benefit from the knowledge and training of a home inspector who has earned the coveted CHI® (Certified Home Inspector) designation after his name. That means the professional performing the home inspection has met the industry’s most rigorous standards. And that translates into home inspections you can trust. What can you expect during your home inspection in Warren, Brown, and Clermont counties? Clear explanations of what we’re inspecting…an inspector who’s there to inform, educate, and patiently answer your questions… a checklist of components and systems examined so you know what you’re getting for your investment…and a comprehensive report delivered to you in a timely manner. At A-Pro Home Inspection Southwest Ohio, we believe that a home inspection that ignores the positive aspects of a home isn’t complete. While A-Pro delivers a thorough assessment of areas that are unsafe, components that are in the final stages of use, and other issues that should be addressed, we also report on the home’s strengths. When we’re done, you’ll have a fuller picture of a home’s true value. This fair and balanced approach plays an important role for our customers who are putting a home on the market or deciding to buy. It’s a fact: m any home inspection companies do not provide a foundation level survey as part of a standard home inspection. This is even more surprising when you consider that almost one-third of claims center around structural problems with the home. In our effort to exceed standard practices, A-Pro Home Inspection Southwest Ohio not only performs a foundation level survey as part of our 500-point home inspection, but we provide it absolutely free. This $150 value is our way saying to our customers that we truly want them to have as much information as possible when selling a home or making a home buying decision. Need Commercial, HUD, or FHA Inspections? A-Pro Does It All. In addition to providing comprehensive residential home inspections, A-Pro Southwest Ohio home inspectors perform commercial building inspections, FHA inspections, HUD inspections, termite inspections, radon inspections, and a host of other services. At A-Pro Home Inspection Southwest Ohio, you matter. We love the home inspection work we do for our neighbors in Loveland, Anderson Township, Batavia, Milford, Mason, and all of Clermont, Warren, and Brown counties. Our passion for delivering quality service shows in how we treat each home buying and selling customer. You can expect friendliness, courtesy, convenience, and professionalism, from initial call to delivery of your report and beyond. That’s all part of the A-Pro service pledge. Experience the difference for yourself or for your own clients. 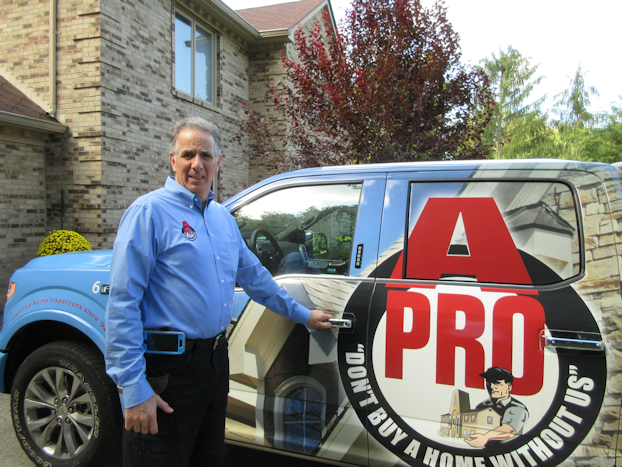 Call A-Pro Home Inspection Southwest Ohio now at 513-909-APRO (2776).